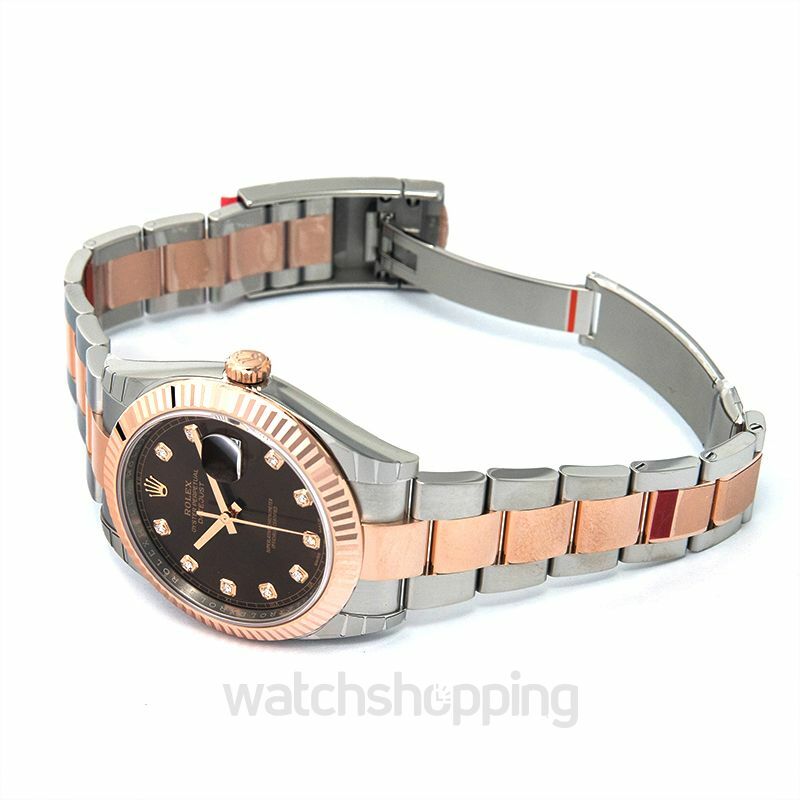 This graceful timepiece will be a great addition to your collection. 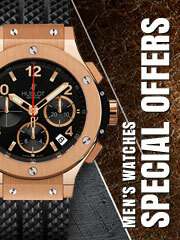 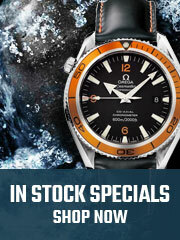 It consists of a 41mm case made from rose gold and Oystersteel. 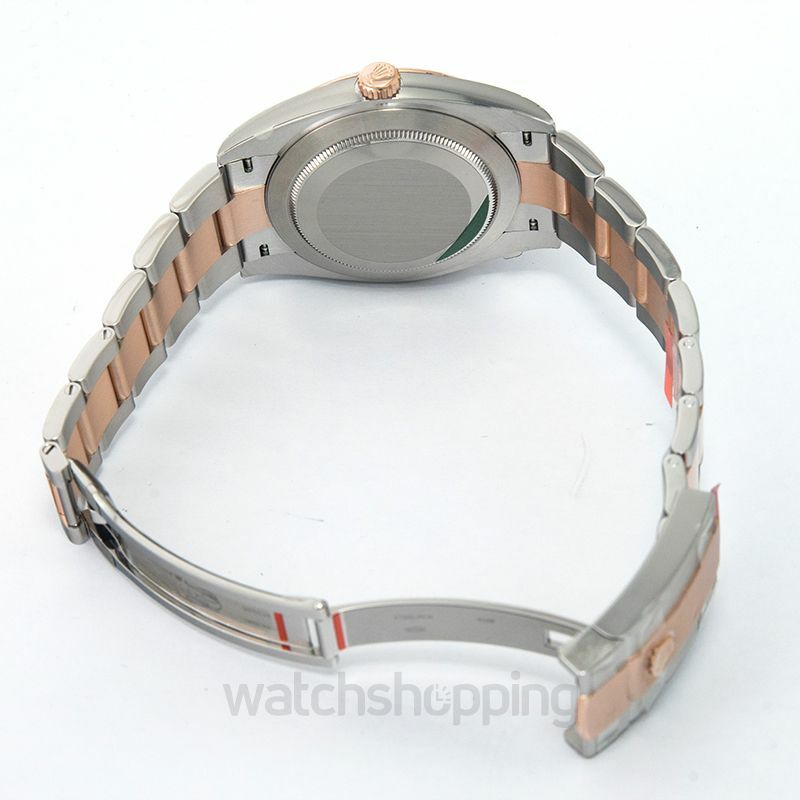 The case is topped with a rose gold bezel which has a fluted design. 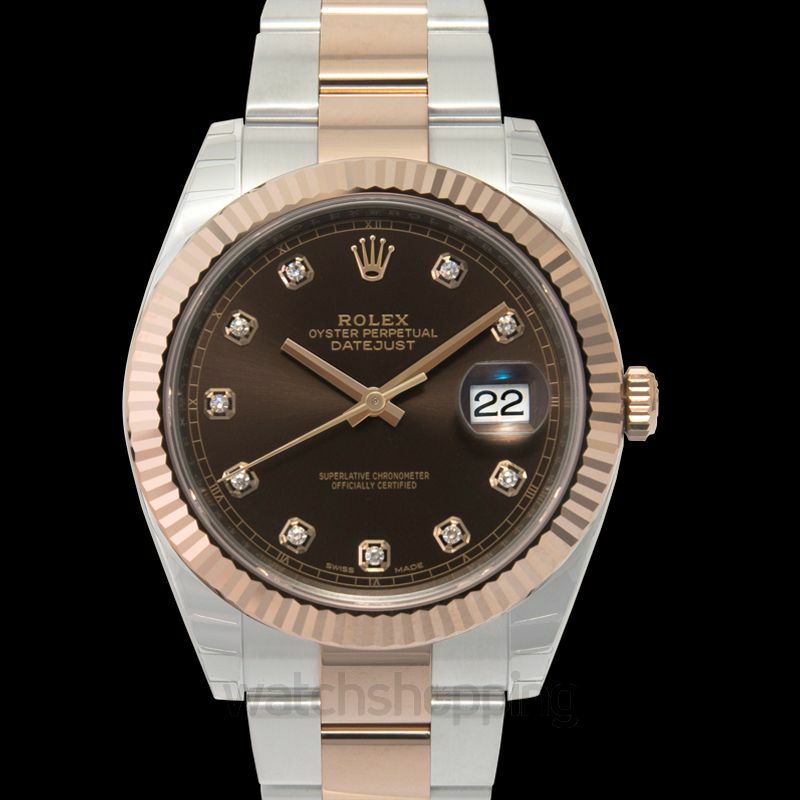 The dial of this watch is a deep chocolate brown and is set with diamonds. 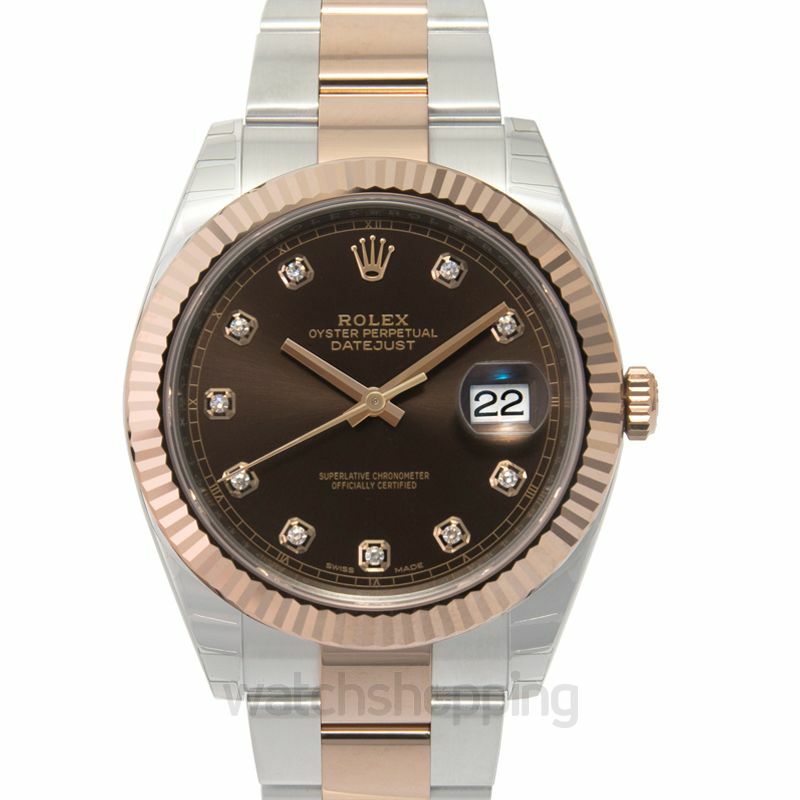 Plus, the outer rim of the dial displays the minute markers, and the date is displayed on the 3 o’clock position.